PCI is a leading private insurer of entertainers, as well as professional athletes, other celebrities and wealthy clients in other select high-profile professions. We are here to insure your health and your wealth and we take our job as seriously as you take being an entertainer. 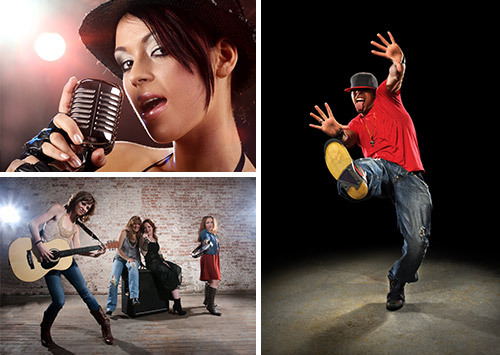 Over the years, we have become an industry leader in designing and offering the most complete, comprehensive and sensible insurance coverage for entertainers in all areas of show business. We have an active roster of satisfied clients from many different entertainment fields, with numerous high-profile celebrities among them. Every celebrity that is in the public eye knows how important being insured is, but most professionals devote a majority of their time to focusing on their work and their art, and are often unaware of the fine details of their insurance coverage. The following true story is a perfect example. A high-profile entertainer needed some time away from pressures of daily life in Southern California and purchased a home in the Bahamas. Upon purchasing his home, we coordinated with his US insurance carrier on his homeowner’s insurance, in order to avoid any gaps in coverage, providing him a rate that was significantly less than the market rate in the Bahamas. In addition, he brought with him a portion of his wine collection, which we were also able to provide coverage for against a loss from hurricanes and other natural disasters. All of his policies are now through PCI and all with just one carrier. Entertainers live a very intense, active, but also extremely glamorous lifestyle and let's face it, talking and worrying about having the proper insurance coverage might be a bit intense, but it is far from glamorous. This is why it is so important to have an insurer that will always have your best interests at heart, will do the grunt work to design the right policy for you and then will closely monitor your coverage with you and for you. That is where we come in. PCI specializes in the exclusive area of high-coverage insurance for professional singers, actors, musicians and other entertainers. We are here to make sure you have a complete umbrella of insurance that covers your home(s), all of your vehicles and all of your possessions, as well as many risks or types of injury you incur while at rehearsal, on the set, in the studio, at home, or anywhere else for that fact. When we talk about a complete umbrella insurance policy, we mean a policy that covers anything that could possibly happen to you that could adversely affect your ability to perform and earn money by entertaining. As a performer, especially if you are a musician or dancer, you know all-to-well that you are always just one serious injury away from the end of your career. In the event of a career-ending injury, your income and financial future must be protected. We can insure you against this type of devastating injury. We will sit down with you and design a policy that will completely protect you in the event of injury or even illness that ends your career, with an eye toward protecting your wealth not only now, but for the long-term and well into the future. However, we also closely examine every detail of your policy in order to make absolutely sure you are not over-insured, mistakenly charged, you never pay for any coverages you do not need and that you never pay a dollar more than you have to in order to stay fully protected against any type of injury. Our focus is not only on protecting your income, future income and overall financial health from any injury-related issues, but also to make sure you are completely covered for any type of liability exposure in order to protect your wealth and once again, your future income. We call this wealth preservation and the need for adequate personal lines insurance protection to preserve your assets from loss is paramount. Let's face it, as you are probably well aware, the simple fact that you are a high-profile entertainer makes you a likely target for litigation in the event of an injury occurring on your property, from a vehicle you own, or due to someone in your employ. What happens if someone on your housekeeping, security or maintenance staff is injured or even worse, while on your property? It doesn't matter if it was in the course of their duties as an employee or not, just the simple fact that they were injured on your property, opens you up to liability. What happens if someone attending a party or function at your home is injured or even worse? What happens if someone borrows your car or your boat and ends up injured or killed in an accident or kills someone else? What if your bodyguard seriously hurts someone in the course of his duties? Again, you are open to exposure for liability and in the event of the worst, what will happen to their family, how will they be provided for and taken care of? Do you have enough coverage? Unfortunately these events do happen and when they do, the most important thing for you and for us, is to make sure you are adequately protected. But what does that mean? How much is adequate or enough? It may be more than you think and for good reason. In today's litigious world, million-dollar injury and wrongful death lawsuits are almost a way of life. The fact is, if someone gets severely hurt or killed and you are found somehow liable, you will most likely be sued for multiple millions of dollars, so you really do need to be heavily covered. We always suggest having more than enough liability insurance to cover the value of your home plus all your assets, plus any legal fees that may arise - then double it – or even triple it. This way, in the event of a catastrophic claim, you will be fully covered and be able to keep your assets. High-profile celebrities are also especially sought-after targets for less serious but just as expensive nuisance claims, and lawsuits against them by paparazzi and others looking to score publicity or a big payday are unfortunately all too common. This is why it is so important to have the best coverage and the best carriers in the business. The last thing you want is a carrier that will not pay out on a legitimate claim. PCI works with only the strongest, most reputable AM Best-rated insurance carriers in the United States. We are extremely selective in our choice of carriers and only work with those that provide first class service and exceptional claims departments. If you are a celebrity entertainer, or you represent a celebrity entertainer and you would like to find out more about PCI, or schedule an appointment, call us at 301-245-0130. We look forward to hearing from you!